This hub is created to answer a question sent to me by Dena Frank. 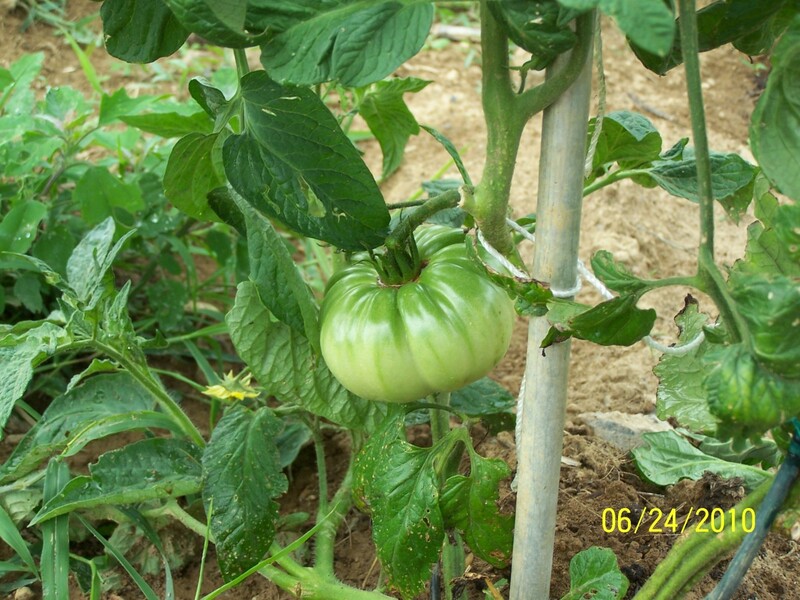 Dena's question was: Can I trim my huge tomato plant while there is still unripened fruit? The answer to this question is one I think all gardeners may ask as they get use to growing tomato plants. Yes, you can trim your tomato plant with unripened fruit with no concern about hurting the plant or the unripened fruit. As a matter of fact, trimming will actually stimulate the plant and make the unripened tomatoes to grow larger. Who doesn't like larger tomatoes over a bucket of small ones? I owned a green house for six years and have had my own garden for twenty years, but helped my dad for years before that, so i have seen the best ways to manage your tomatoes. The tomato is a wonderful addition to your garden as it will produce such fabulous vegetables that are a great addition to sandwiches, salads, soups, salsa and any other thing you can think of. Unfortunately it can also be a frustrating foray if you are unaware of the best ways to take care of your plant. Tomato plants will not grow until the weather where you live gets warm enough, generally 75 degree days and at least 60 degree nights. This type of warmth is required to heat up the ground and make the roots take off. When this happens your plant will grow quite rapidly. 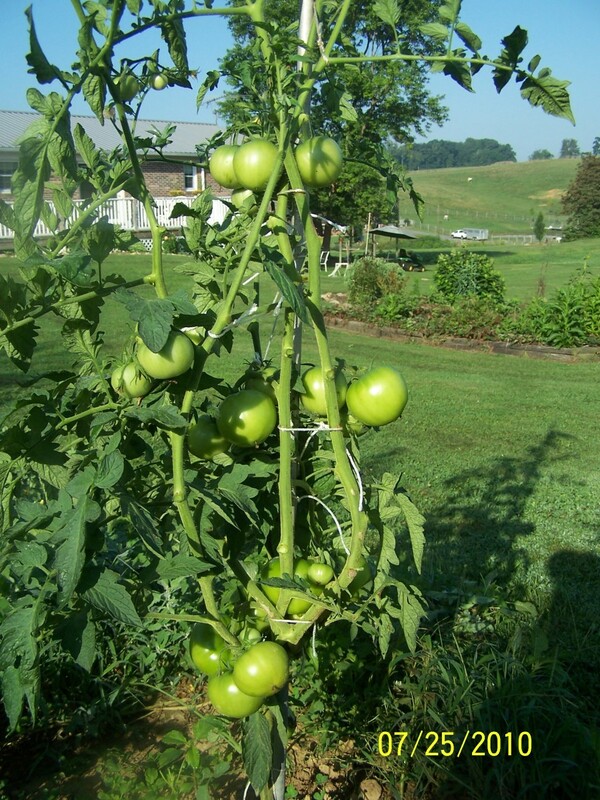 Tomato plants will develop several branches that shoot off of the main stem and before long the plant can get unwieldy. This is when you need to pull out the knife and give it a trim. Proof of larger tomatoes from pruning! 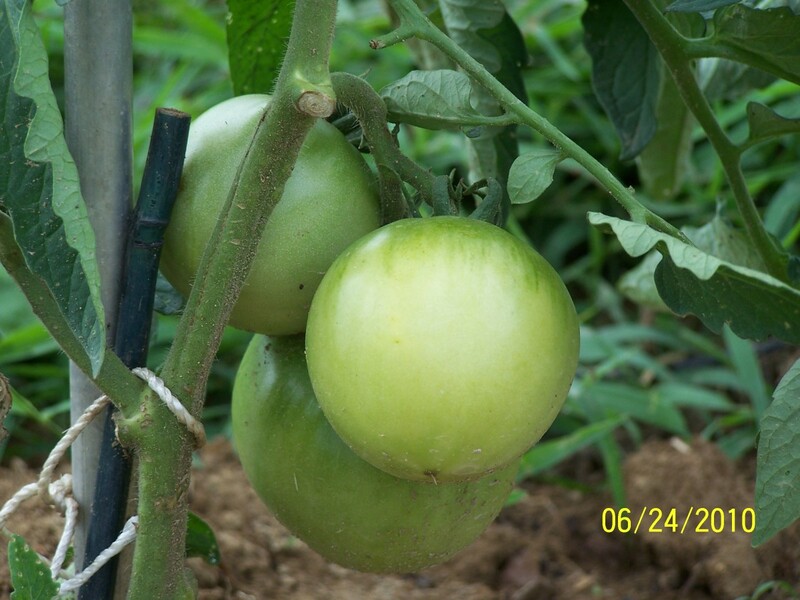 Nice tomatoes depend on you keeping your plant trimmed and supported. Will it stunt the plant or hurt the fruit? There is no reason to be concerned about pruning the plant. Think of it this way. You walk out to your garden and you have a tall plant that has twenty branches. In the ground you have the root system that is pulling nutrients and moisture up into the plant to help it grow. As the plant grows more branches you fixed amount of energy the roots can deliver to the plant becomes divided into smaller parts. 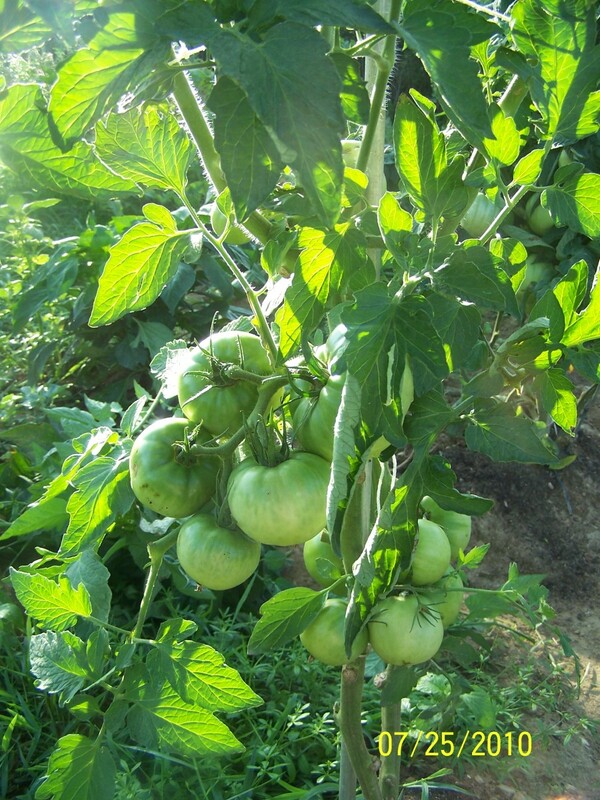 The tomatoes that develop are huge energy hogs and if they do not get what they need they will not develop very fast. In order to kick start theri deveopment you can trim off some of the branches. When you dfo this you leave more energy coming from the roots that is sent off to the tomatoes. INstead of having 50 or 75 little tomatoes you can have 35 or 45 medium sized ones. My dad used topich some of the blooms off of his plants even after a heavy trimming job. By doing this he ensured there would be a few large tomatoes on each of his vines. 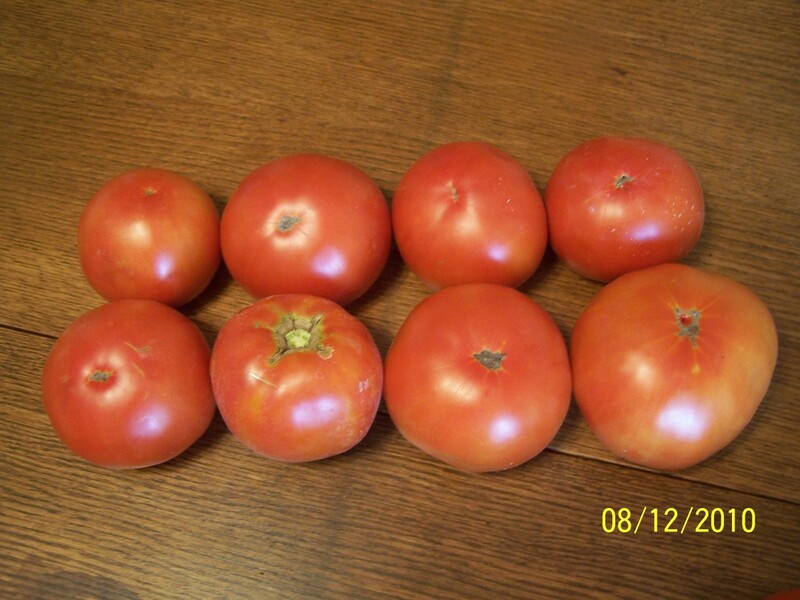 These tomoatoes came from well pruned vines, which allowed the fruite to devop into evenly formed and flawless tomatoes. When you prune your tomato plant you devote more of the energy to growing the fruit rather than supporting stem and leaf development. Is there a wrong way to prune my tomato plant? Really there is no wrong way to do this, just be sure you cut the stems on the sides of the plant, off the main stem. 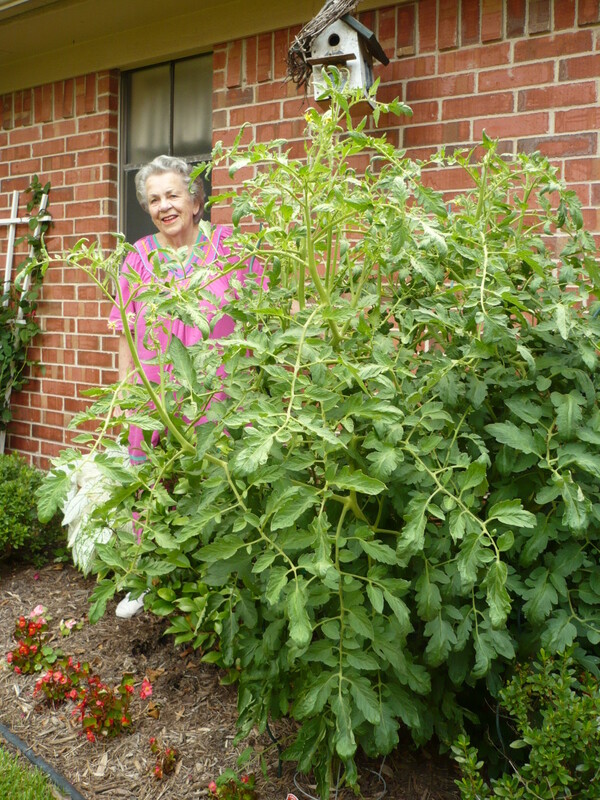 If you have what is called a determinate type of tomato plant, it will grow to a pre-determined height and no more. With what is called an indeterminate type however, your tomato will continue to grow taller as long as it lives. Mainly you want to cut away what is known as the suckers. These are little shoots that develop in the branches of your tomato plant. If left to grow, these will develop into a large branch that will pull your plant toward the ground. The ground is actually the worst place for a tomato plant in my experience, because if you have a wet season, you will have what is called blight, a fungal disease that will kill your plant. The larger tomatoes like to have access to the sunshine, which is possible through pruning. A well pruned and supported plant will produce many nice tomatoes. Should I support my plant or let it grow on its own? Even with a regular pruning your tomato plant is going to grow to the point it needs support to keep it upright. The tomatoes will do so much better if you keep your plant off the ground. In order to do this you will need some time of sturdy items to use in this process. 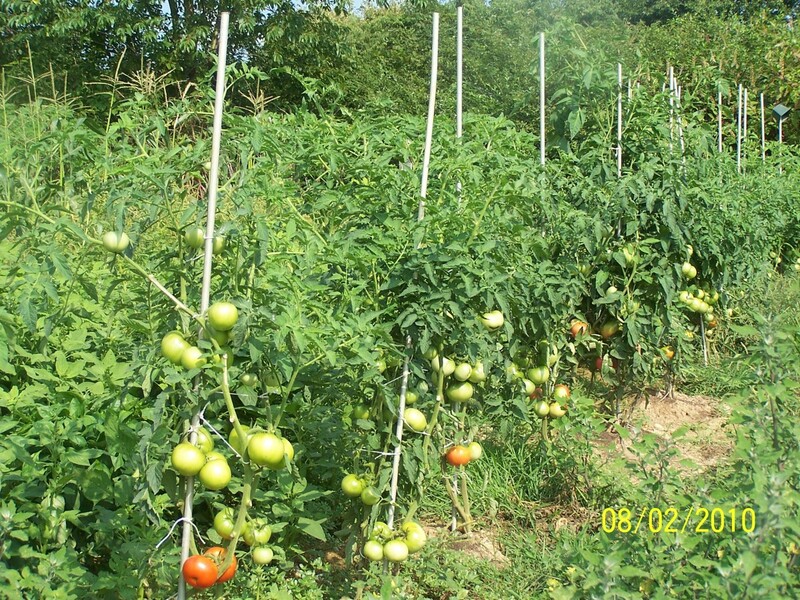 Some people use tomato cages, or a round wire cylinder to support their plants. The tomato cage allows the tomato to rest inside and keeps it upright. You can reach through the mesh holes to retrieve tomatoes as they ripen. Others will take stakes and then twine which is woven in and out of the stakes to create a type of fence. This also supports the plants and makes it easy to pick the ripened fruit as well as taking care of the pruning needs. Personally I prefer using a stake, which I tie the tomato plant directly to to keep it upright. Currently I use some aluminum rods that my dad passed down to me that are about eight foot tall. This is not necessarily the height you should have, but remember I said the indeterminate varieties will grow until the end of the season and the ones I am growing this season are almost to the top of my rods. 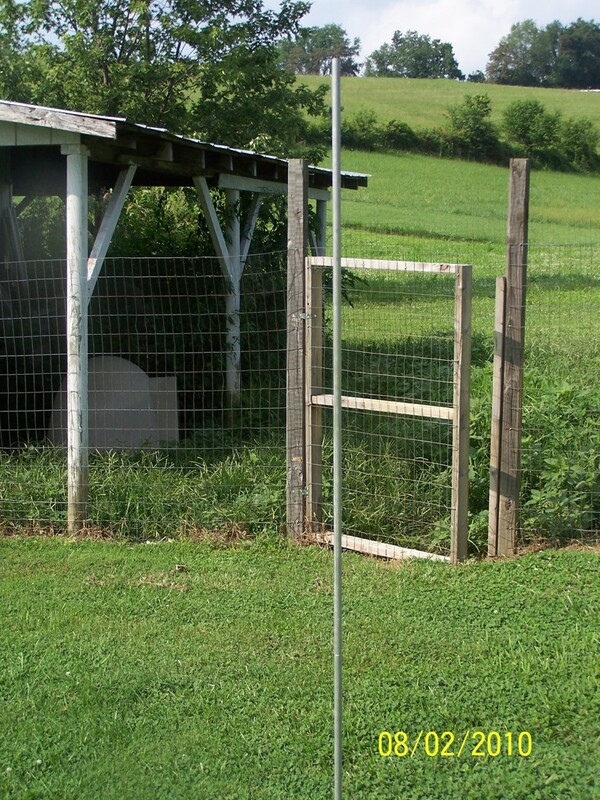 This is the aluminum rod like I use in staking my tomatoes. This is a wide view of my 2010 tomato garden. Enjoyed your hub. We like growing tomatoes and love eating them. I tried to watch your video but couldn't get it to work. Voted Up and more. Enjoyed your hub. Tomato growers always like to read about tomatoes and tomato growers. Liked. Voted up. Hi Dobson a splendid hub you have here, I always knew that trimming the plant gives you a higher yield but better tomatoes? I never knew that. Thanks for the insight. 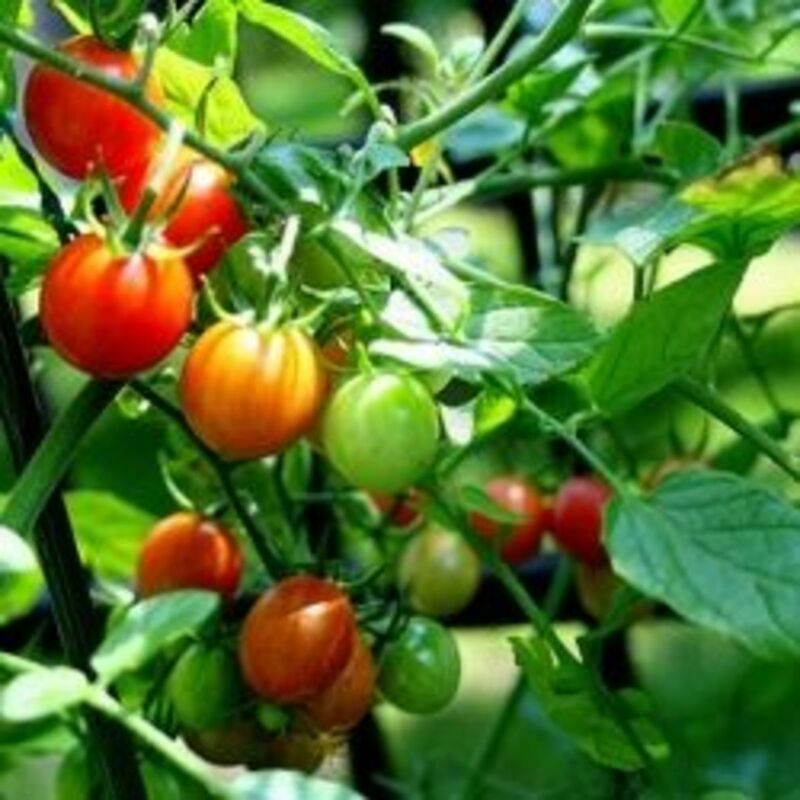 vocalcoach - The pruning is a key to nice tomatoes. Otherwise you will have a plethora of small tomatoes. Another excellent hub on the growing of tomatoes. How can I fail with all of your help? Thank you. UP and useful. wf - I am happy to have shared some of my experience. Daisy - feel free to ask any questions you have as I have decades of experience and have probably seen or tackled your issues. I don't do tomato plants but my father does. My father struggles with gardening in general, thus so do I. I appreciate all the information you gave and will definitely put it to good use. LT - I like the aluminum rod becaue it does not weather over time and will not bind or break in wind storms when the large bulk of a mature plant provides so much for the wind to catch. You cannot get nice fruit without pruning all you will wind up with is unintended cherry sized tomatoes. The aluminum rod is a good one for me as my bamboo canes always break or rot. It is almost a must to trim if you want bumper crops isn't it, thanks! mackenziian - You are correct. The trimming allows the fresh air to get to the plants, reducing the likelihood of plant disease. also, the sun raches the tomatoes and helps in their development and ripening. Teddletonmr - The wire cages just did not work as well for me. I found them confining when trying to prune my plants as well as limiting the fruit development. Pruning also promotes better air circulation. Nice hub btw. Dobson, thanks for the imformation on how to trim tomato plants. 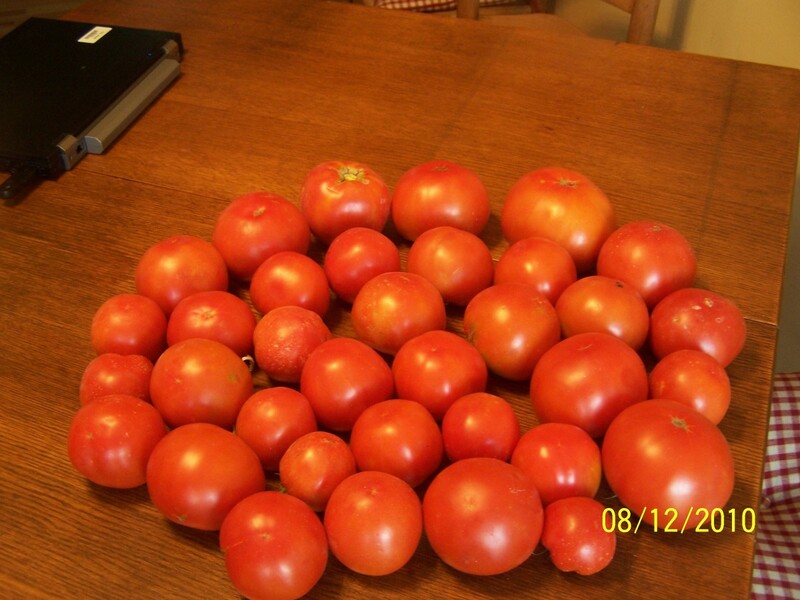 The wife, kids and I enjoy growing and canning tomato salsa, juice and sauce from the tomatoes we grow in our backyard. HH - On the jenny's Life I entertain, but on most others i seek to inform, so it is good to know I succeed in that aim. Thanks for reading all I write and always commenting! eovery - I may not get to that right away since the season here is waning, but I promise to get iit on here by year's end. Thanks for reading and commenting. Great informative hub. Very well written. I am back into growing tomatoes again. 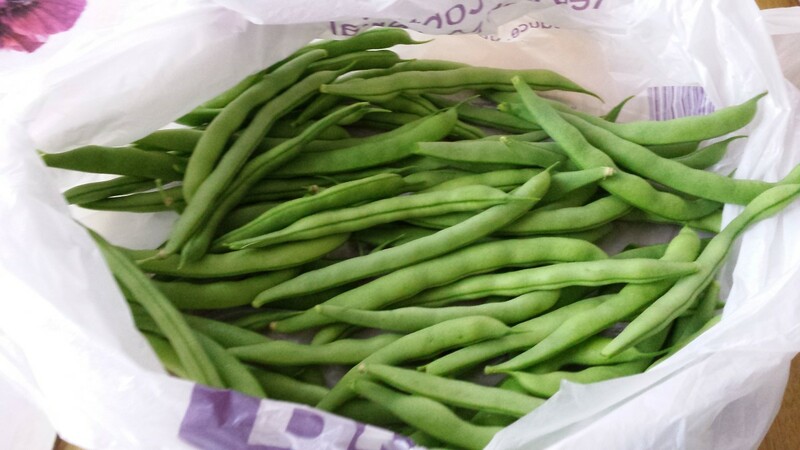 Next year, I will try to plant enough for some canning. This year, just for eating. A hub on starting them from seeds and growing them large enough to plant would be great. I have tried from seed and I have always failed. I could use some help. How to - Glad i could offer my knowledge, here is hoping you get the hot weather to finish off your tomatoes! Great hub thks. I have no garden just a 5 foot concrete patch at the back door. I have one tomato plant and it is growing fine. I have been trimming it but wasn't sure if I was doing it correctly. Our weather here in Ireland has been very bad these last few months so my tomatoes are still very small and green. Sandy - I hope to take a wide view picture of my patch today to post here. My tomatoes are at the point of ripening rapidly now and it is quite the sight. Good information on trimming your tomato plants. We have several that have been growing like crazy.